Everyone likes cheap movie tickets, and Apple is making that a reality by running a promotion related to its Apple Pay payment system. 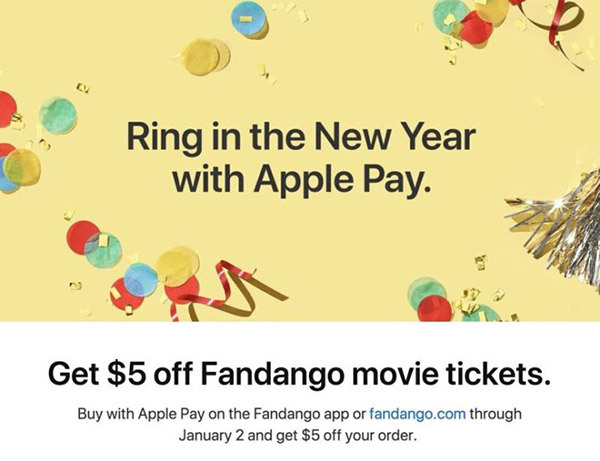 In partnership with Fandango, Apple is offering a $5 discount on tickets when they are purchased via either the Fandango app or the Fandango.com website. The discount is available on any movie tickets purchased through January 2nd, but obviously, enough users must make their purchase via Apple Pay in order to receive the discount. In addition, the offer code “AppleCheer” must be entered at checkout in order for the $5 discount to register. 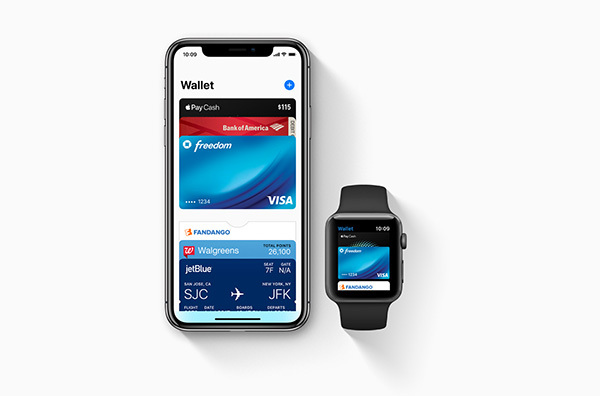 Alongside the offer, Apple is also once again making a point of highlighting apps that allow users to make purchases by using its Apple Pay system. In particular, and apparently with the new year in mind, Apple’s current push is showcasing apps that can be used for party planning such as Party Ultra, TouchTunes and that famous party food supplier, McDonalds. No, I’m not really too sure about that one, either! This is not the first time recently where Apple has pushed Apple Pay via a marketing campaign. Over the past two months there have been numerous emails received by Apple users in which discounts and deals have been made available if Apple Pay is used as a payment method. Just last month, Apple offered a discount on Postmates Unlimited subscriptions in a manner similar to this new Fandango offer. With so many great movies to watch right now, this $5 discount is one that should be easy enough to take Apple up on. If you are an Apple Pay user and live in an area where Fandango is available, be sure to get in on the action before January 2nd. Cool! Great promo using Apple Pay. I’ll have to check it out.